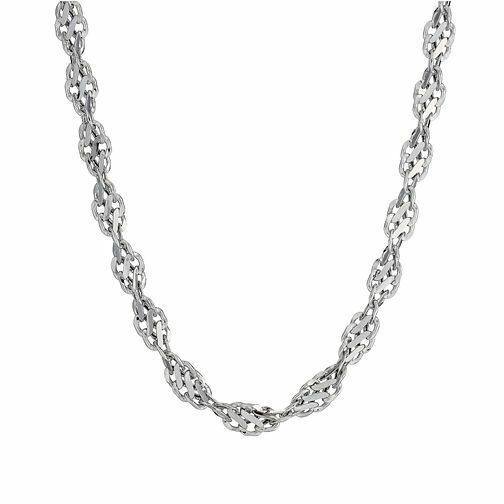 9ct white gold cut out twist necklace 18"
Add a precious metal twist to your jewellery collection with this elegant necklace, crafted from precious 9ct White Gold and embellished with several accents of interlinked precious metal for a more sophisticated style statement. The Gold Collection by Ernest Jones presents the best traditional and trending styles in a variety of precious metals. 9ct white gold cut out twist bracelet 7.5"